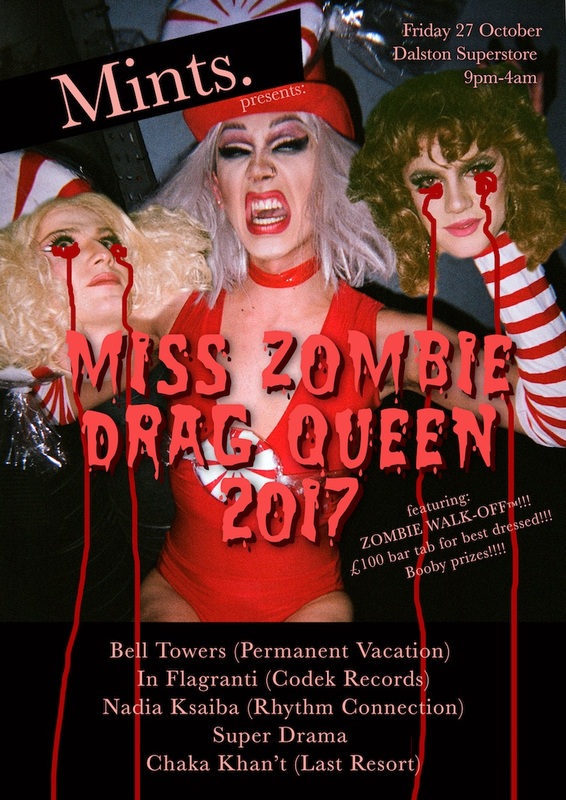 Alright you bunch o’ freaks, we hope you’re ready for this one… All-nonsense femmesexual discotheque Mints is turning undead for a very special All Hallow’s Eve blowout at Miss Zombie Drag Queen 2017! Who will win the coveted crown?! All looks will be judged on the number of shivers they send up the judges’ spines. The freakier the better, you know the drill queens! Featuring spooky DJs Bell Towers, In Flagranti, Nadia Ksaiba, Super Drama and Chaka Khan’t plus PRIZES FOR LOOKS!!! ZOMBIE WALK OFF™!!! EVERYTHING YOU COULD EVER WANT!! !